Regular Show POP! 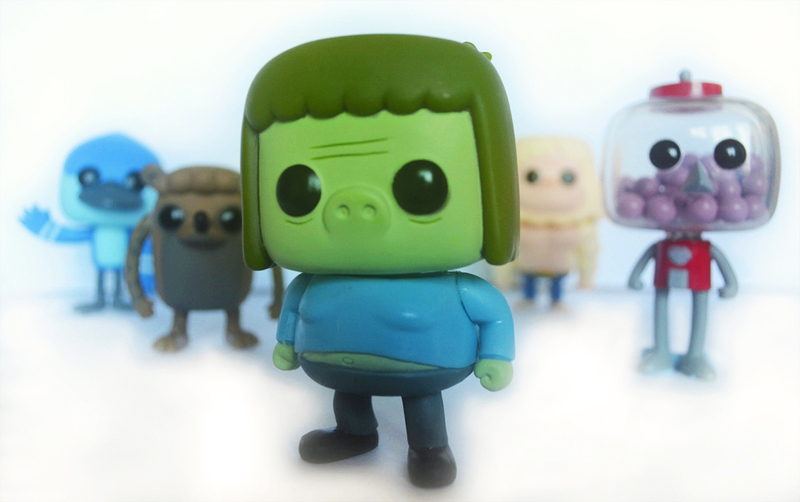 vinyl figures | 'TAIN'T THE MEAT… IT'S THE HUMANITY! A few months ago I wrote about Regular Show, Cartoon Network’s offbeat animated show that features a group of park workers who routinely save the world from inter-dimensional monsters, crazed video game characters, psychotic hot dogs and anything else the show’s writers can throw at them. I’m a great fan of the show which is currently in its fifth season with a sixth already green-lit. Since its debut Regular Show has gained a loyal following and this year a large selection of licensed merchandise has been released to capitalise on the cartoon’s popularity. Plush soft toys, DVDs, calendars and posters have all been sold but the highlight for me is the recent release of five new Funko POP! vinyl figures. Measuring about 4in these stylised figures are very much in keeping with Funko’s other POP! figures and are modelled in the Japanese Kawaii (or ‘cute’) style. 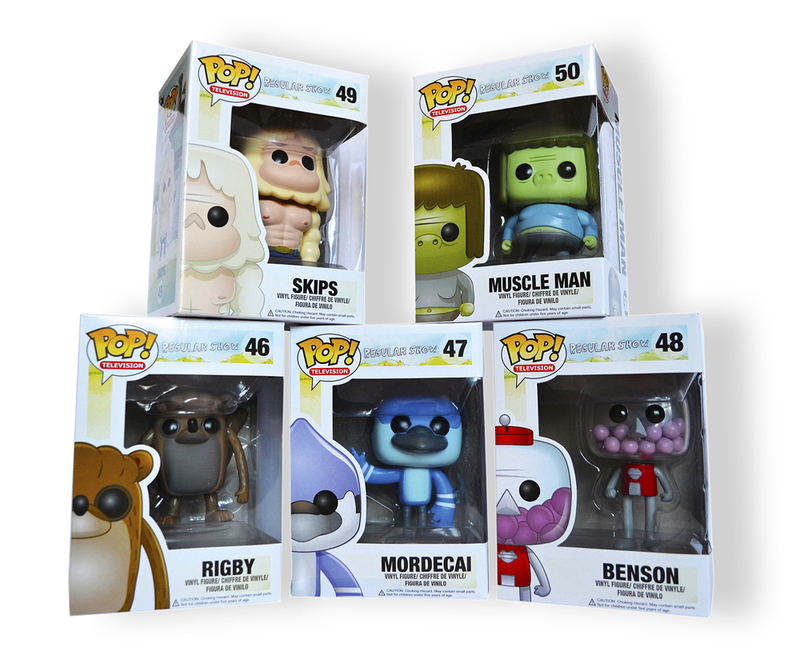 So far Mordecai, Rigby, Skips, Benson and Muscle Man have been given the Pop! treatment – sadly there’s no sign of Pops or High-Five Ghost but hopefully that’ll be rectified soon. Out of the five Muscle Man and Benson are my favourites: Muscle Man has a charming piggy face and park boss Benson’s head is filled with plastic gum balls – a nice touch (I’ve illustrated this article with a few photos I’ve taken of the collection). I now have a very large, and growing, selection of vinyl figures adorning the desk and shelves in my home office and at this rate I’ll soon have to buy a bigger desk to accommodate them all. Each Regular Show POP! vinyl figure sells for around £12-£15 on ebay and Amazon, not cheap certainly but worth it for fans of this endearing and surreal show.